The necromancer, Xul, from Diablo 2 and the wizard, Li Ming, from Diablo 3 are the latest characters to be added to the Heroes of the Storm roster. Unlike the cooperative play-based Cho'Gall, you can unlock these heroes through the usual acquisition methods, i.e., in-game gold or paying real life money. These may not be the last characters from the Diablo universe we'll see either. 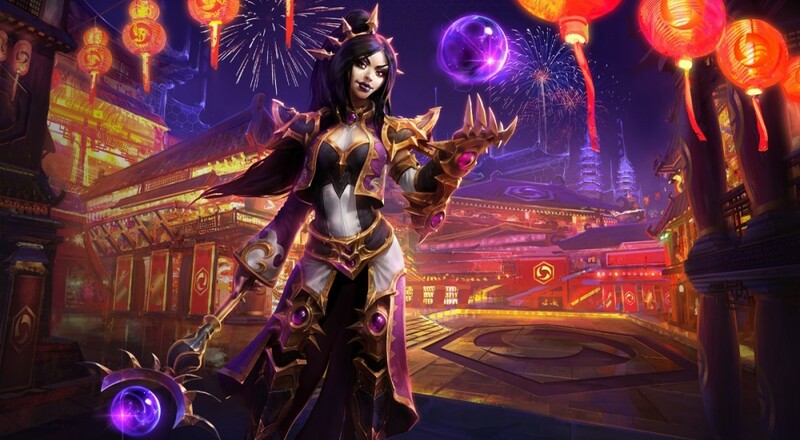 The Heroes of the Storm MetaBomb site recently spoke with Game Director Dustin Browder about these additions and a few of the game's mechanics, though the latter is more of a focus for competitive play than the games against enemy A.I. bots. One other piece of interest from that interview, however, is when Dustin discusses the idea of adding more/new social features to the game, like clans/guild. I would like to get more social systems like a clan system to let you self-organise teams a lot more easily, but still have a social contract with players before you go into a game. I do think the best way to play the game is with friends, and the barriers to players doing so are a little higher than I would like. This isn't something for which they have any immediate development plans, as there are a few gameplay tweaks that are at the top of the list, but the interest is there to get something like that going. Page created in 0.2737 seconds.